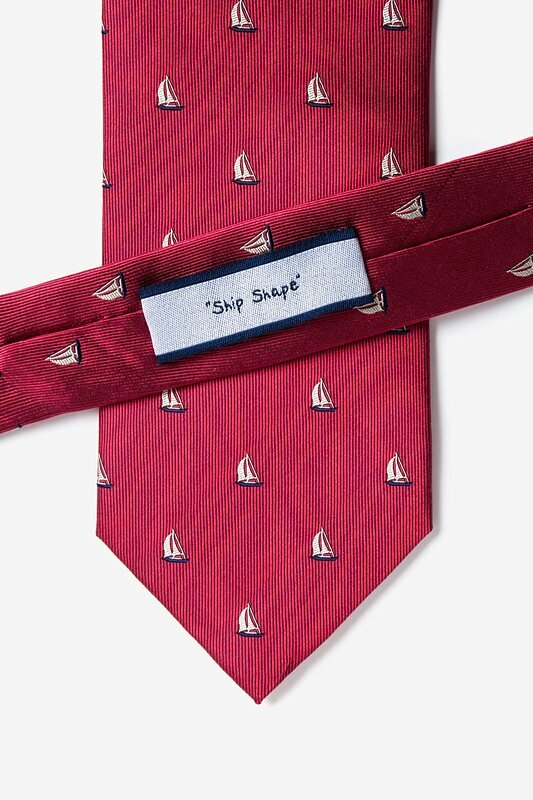 Escape to a far off land allowing only the wind in the sail to guide you to your destination with Alynn Neckwear's Shipshape Tie. 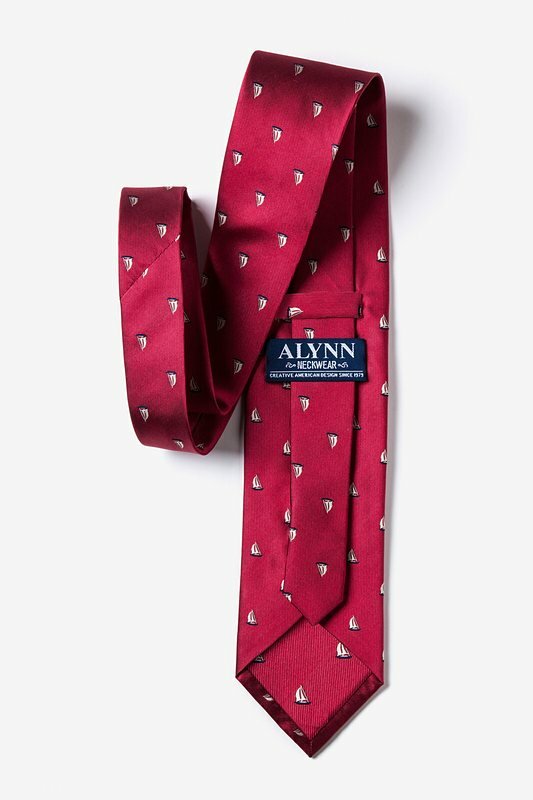 Show your love for adventure and bo... read more Escape to a far off land allowing only the wind in the sail to guide you to your destination with Alynn Neckwear's Shipshape Tie. 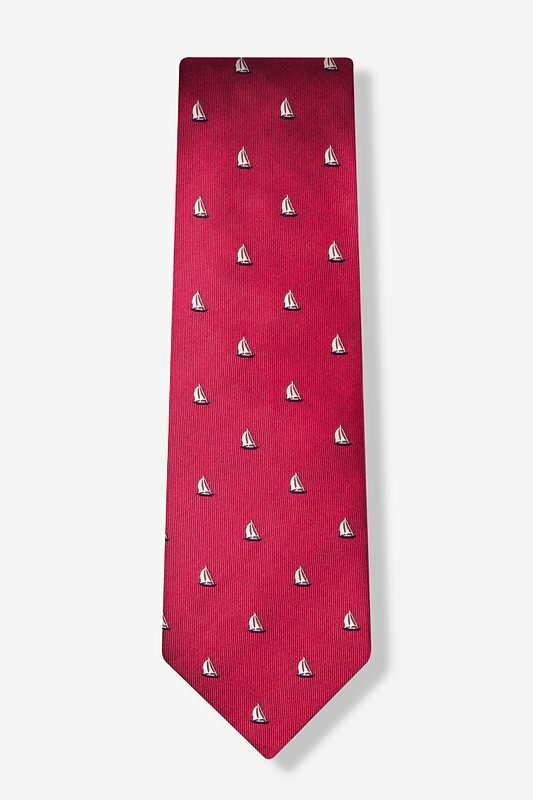 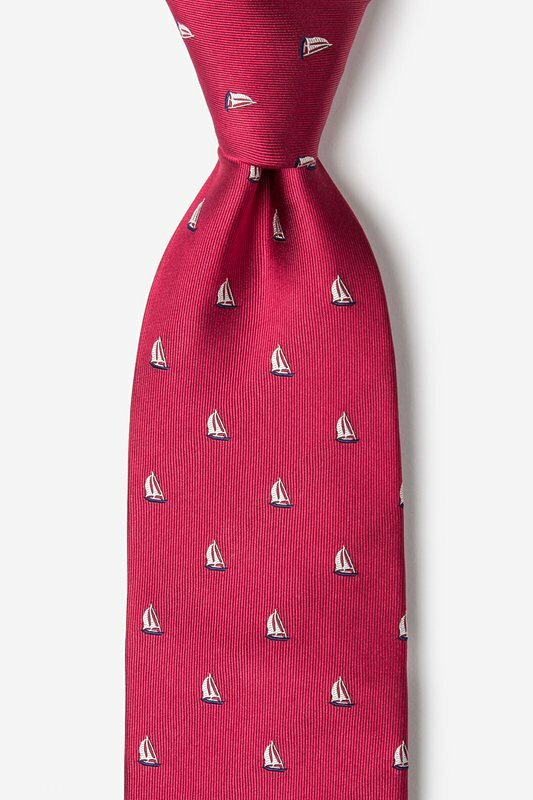 Show your love for adventure and boating while sporting this silk tie, featuring navy blue and white sailboats on a sea of rich burgundy.